It’s unanimous! Spa time for Moms is NOT an Urban Legend it’s a must do and reality for our Hot Spa Moms! And for SpaWeek Daily’s Hot Spa Mom Squad (and you) you still have until Sunday on the West Coast & Chicago to get some $50 treatments in! @SpaLook It’s important to get monthy massages to help ease mental and muscle tension! @M641 I had prenatal massage recommended and was told to stay away from steam rooms/saunas of course. @rockandrollmama My midwives let me teach Pilates and Yoga till my 38th week. :) Worked out fine, long as I could get up! @CarissaRogers I request gift certificates from hubby and inlaws for holidays, that way after crazy holidays I get a REAL break! 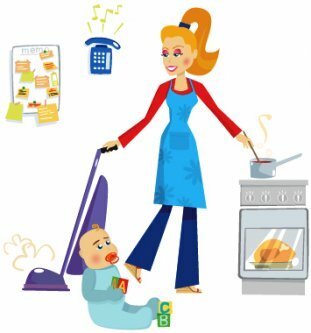 @Convo_info It’s easier 4 moms 2 get away 4 breaks if they plan their days, adding this time to their regular routines. @FashionOffice Heavenly Seaweed Wrap at @WHotelFtLauderdale. Did NOT want to leave. Big splurge but my sanity is worth it. @bemommylicious I love a relaxation massage especially with emphasis on my neck and shoulders. Mama’s tense. @spalook “Pampering potluck” invite friends over,have them bring a few spa products each.You can mix, match & enjoy! @xtremelashes pay 4 the services u hate 2 do (mowing, pool cleaning). The time u save is worth it to enjoy life more. YAY from @BeehiveBlog – this was so much fun and I am so tickled to be mentioned! See you next week!